Right from the start of 3½ Minutes, Ten Bullets, a wrenching HBO documentary set to air tonight on HBO, I was left with a twisted, sinking feeling in the pit of my stomach. 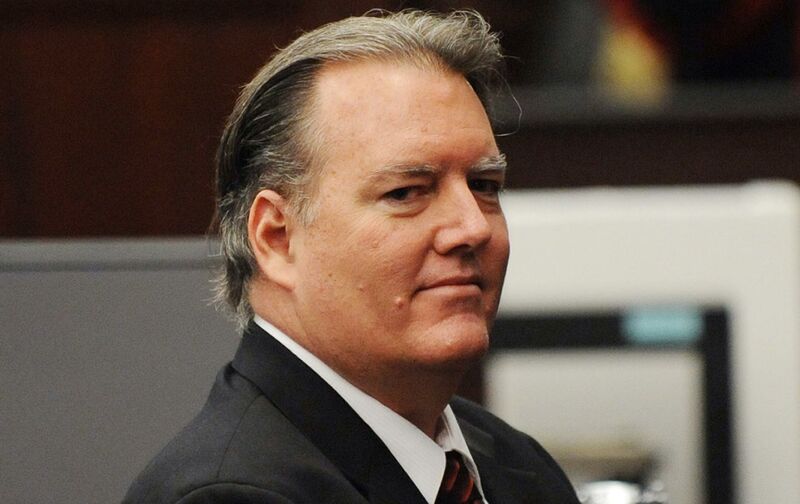 The violence erupted when Michael Dunn, a 45-year-old white man, became outraged by loud rap music coming from the car of four teenage boys. They’d stopped to get cigarettes and chewing gum. It was the day after Thanksgiving and they were going to the mall, hoping to talk to some girls. Dunn was in town for his son’s wedding and, after having “three or four rum and cokes,” he was heading back to the hotel with his fiancée, Rhonda Rouer. They’d stopped for a bottle of wine and some potato chips. According to all accounts, Dunn asked the boys to turn the music down, which they did, at first. In fact, they turned it off. But Jordan Davis, 17, wasn’t having any of it. He mouthed off. He cursed. Clearly, the teenager was agitated. “I’m tired of people telling me what to do,” he shouted. The music went back up. More angry words were exchanged. “Are you talking to me?” Dunn asked, again putting his car window down. “You’re not going to talk to me that way,” he said, according to the testimony of the boys. Then, after reaching into his glove compartment for a pistol, Dunn fired ten shots into the boys’ car. When it was all over, Jordan Davis was dead. Jordan Davis’s friends recount what a bad basketball player he was. The worst. Ever. But that never stopped him from wanting to play. They were on the court almost every day. He never got any better, they recalled, smiling. The “loud music” case happened in the wake of George Zimmerman’s murder of Trayvon Martin and amidst heated debates about Florida’s infamous “Stand Your Ground” law, which requires only that someone has a “reasonable belief” that their life is in danger. It doesn’t have to be a real threat, as the film reminds us, just a “perceived” one—which leads us to the heart of the matter. Of course, his word choice is key. The fact that he instantly equated young black boys listening to rap music with “thugs” suggests a presumption of criminality where there was none. Like most, Jordan Davis had been moved by the Trayvon Martin case. His father recalls that he put on a hoodie one day, astonished by the fact that he and Martin “kinda looked alike.” In fact, they kinda did. The film’s director, Marc Silver, artfully includes phone conversations between Dunn and Rouer, recorded during his time in state prison, which shed further light on the case. Dunn rants about the MTV rap “subculture” that he finds so disagreeable. “I don’t know, honey,” Rouer replies softly, the rift no doubt widening between them. Dunn continues with his tirade about “gangster culture” and wonders aloud whether something good might come out of all this; perhaps it might even lead to a “public statement” about this subculture, he offers. “Why don’t we discuss that at another time,” responds Rouer. As the state’s key witness, Rouer is the one who explodes Dunn’s defense when she tearfully admits in a powerful testimony that, contrary to her fiance’s claims, Dunn never once mentioned seeing a gun to her. Not during that entire night back at the hotel, not the following morning after they learned of Davis’s death on the news, not even during the more than two hour drive back home. “No,” she says meekly, once again on the stand. At this point, she’s wringing her hands anxiously. As one commentator noted, it’s hard to imagine what the response might have been to a 47-year-old black man shooting into a car full of white teenagers because he thought their country music was too loud. But then, it’s also hard to imagine how yet another unarmed black male, Jamar Clark, was shot point-blank in the face by Minneapolis police just last week. It’s also hard to imagine—as Davis’s mother, Lucia McBath, points out in a later appearance before the Senate over Stand Your Ground laws—what Jordan Davis’s own grandfather might have made of all this. McBath’s father was president of the Illinois NAACP for 20 years and worked closely with President Johnson in signing the Civil Rights Act of 1964. After an initial mistrial, Dunn was eventually found guilty for the first-degree murder of Jordan Davis and for the attempted murders of Leland Brunson, Tommie Stornes, and Tevin Thompson. He received a life sentence without the possibility of parole. Dunn didn’t have to shoot Davis, argued the state of Florida; he decided to do so. Lucia McBath tells us that she chose her son’s name because it symbolized the crossing over of the Jordan River in the Bible. She’d wanted his birth to symbolize a new beginning. In the wake of new police shootings every day, coupled with those of would-be white vigilantes like Dunn, it seems we’re still a long way from that. “I am Jordan Davis,” reads a poster-board sign held by a young black boy at a street demonstration captured in the film. More shots of wide-eyed, little brown boys with signs follow. “We are Jordan Davis,” they say.